Is Earned Income on Social Security Pay Determined Monthly or Yearly? Early retirees must worry about earning too much for Social Security. 2. Can Social Security Benefits Continue After a Child Is 18? 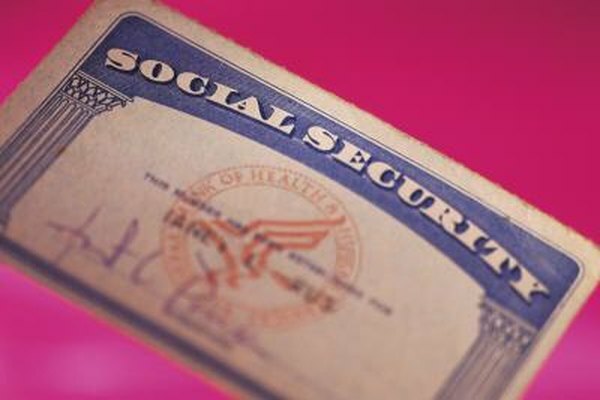 People who start collecting Social Security retirement benefits before they have reached full retirement age are subject to limits on how much they can earn without losing any of their Social Security Benefit. Those who are over full retirement age, 66 as of 2012, don’t have any limit on how much they earn. The way Social Security counts earned income varies with circumstances. For most people, Social Security determines your earnings on an annual basis. Those aged 62 through 65 can earn $14,640 per year as of 2012 without losing any benefits. Your benefit is reduced by $1 for every $2 you earn above the annual limit. In the year you turn 66, you can earn $38,880 for the year without losing benefits. In that year, you would lose $1 in benefits for every $3 earned above the limit, but Social Security only counts earnings made prior to the month you turned 66. In subsequent years, there is no limit on how much you can earn. There is a special earnings rule that applies to the year you apply for retirement benefits. This rule applies a monthly earnings test rather than an annual test if you fit the qualifying circumstances. Under this rule, if a person aged 62 to 65 applies for his retirement benefit in mid-year but has already earned more than the $14,640 annual income limit, Social Security applies a monthly earnings limit of $1,220 as of 2012 for the remaining months of the year. The money earned prior to the retirement benefit application date doesn’t count. For someone who will turn 66 before the end of the current year, who already earned more than $38,880 and who decides to apply for Social Security now rather than waiting to turn 66, the monthly income limit is $3,240 for the months between his application and the month he turns 66. The benefit reduction is different for people subject to the monthly earned income test. If a retiree subject to the monthly test earns more than $1,220 or $3,240 in any month, he loses his entire Social Security benefit for that month, not just a portion of it. The monthly earnings limit applies only during the year you retire. In the following year, just the annual income limit applies. If your retirement benefits are reduced because you earned too much money, the amount subtracted from your benefit will be returned to you in monthly installments over 15 years, starting when you reach full retirement age. For instance, if Social Security subtracted a total of $9,000 from your benefits from age 62 through age 65 because you earned too much money in those years, the $9,000 is divided by 180 months to get $50 a month that will be added to your regular monthly retirement benefit after you turned 66. Can I Continue to Work After Collecting Full Retirement Benefits?